Preschoolers are so much fun to shop for. Since they aren’t super picky, you can’t really go wrong with almost anything that you choose. Here are our top picks for all the best toy and gift ideas for 2, 3 and 4 year old children. At this age it is very easy to get a great gift for a creative child. 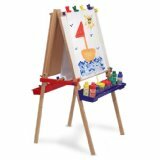 Most kids are happy with some paper, crayons and their imagination, but if you are looking for something more to help inspire creativity you can get a good quality Art Easel that can grow with them for a few years. There is a huge range of easels that are great for kids, ones that have attachable trays to hold art supplies are especially handy. Another great idea for a creative child is an Art Desk. 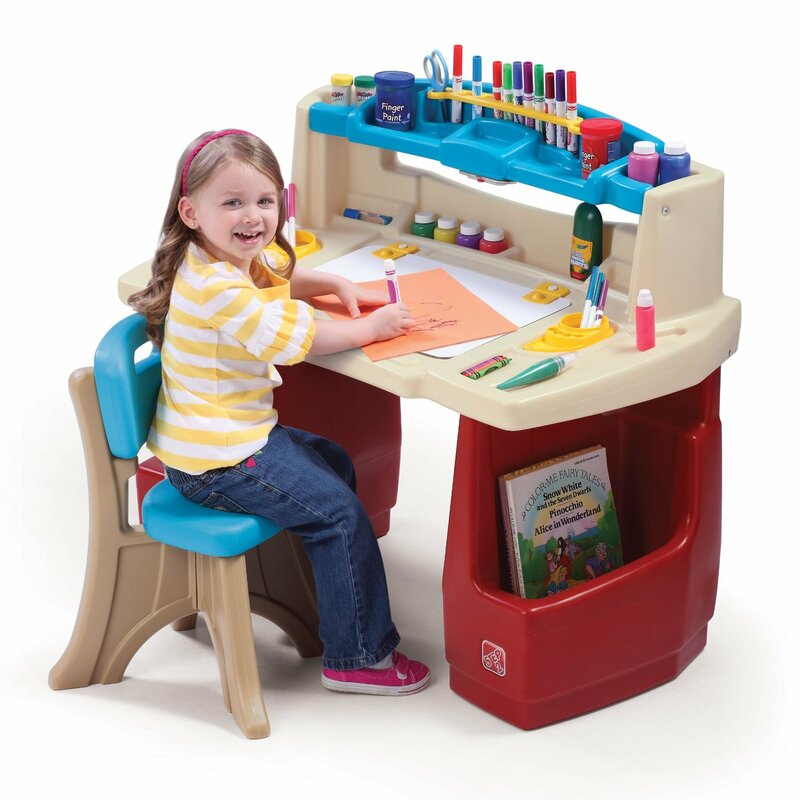 An art desk lets kids keep all their art supplies within easy reach and they have lots of storage for their art projects. Play Visions Sands Alive! 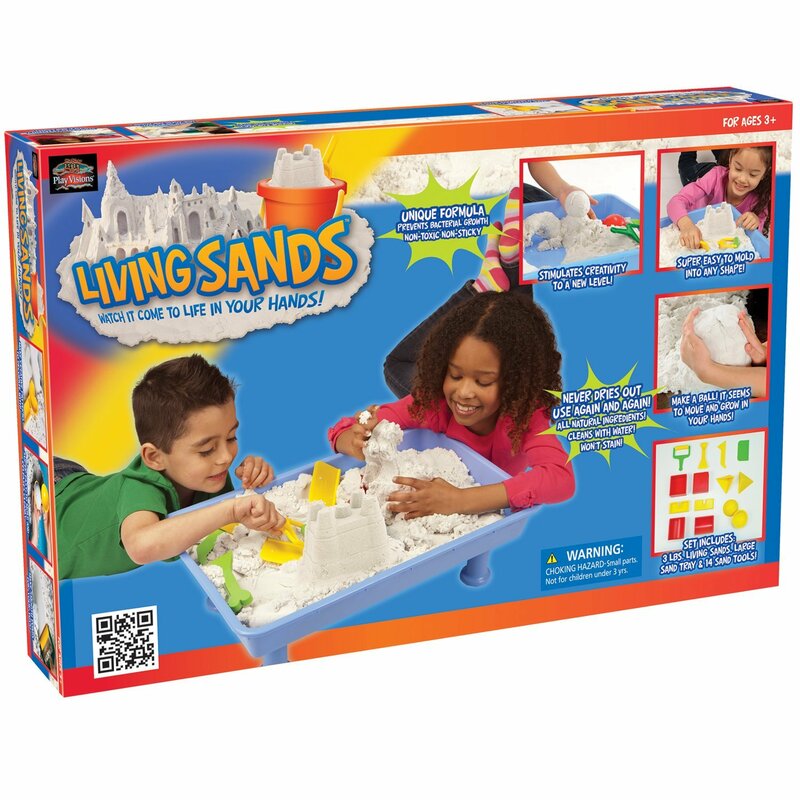 is indoor play sand that isn’t what you expect sand to be, it’s sort of hard to describe but what it reminds me of a is little bit like cookie dough. In the last year or so this stuff has gotten pretty big and it will keep your kids busy for a very long time. It’s hard to go near this stuff without wanting to touch it or play with it, it is kind of odd that way. Since kids this age love to make noise, a couple of loud sturdy musical toys are a safe bet. 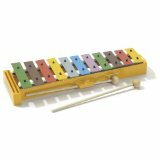 Hohner Kids / Glockenspiel (Xylophone) with Songbook is a classic xylophone that doesn’t look too babyish so kids will be able to use it for years. They are fun to bang on even for adults. 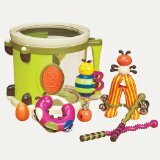 Another good choice would be a B. Parum Pum Pum Drum, this a cute set with a big drum, drumsticks, jingle bell, a maraca and clacker so there are lots of fun noise making items with that kids will really enjoy. With the upcoming release of apple’s smart watch next year, you can expect lots of hype about smartwatches. 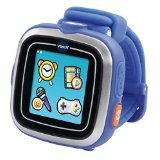 Kids can get in on the hype with a smartwatch of their very own,Vtech has put out a really cool watch called the VTech Kidizoom Smartwatch. This watch does so much it’s crazy. It can take pictures and record video, and then add effects, frames and filters to the photos. It can also help teach kids how to tell the time with 50 clock face designs. This smartwatch has four learning games, and comes with a micro USB cable, which can be used to upload photos and videos as well as recharge the battery. An easy and not very expensive gift for preschooler is a durable kids camera. Most children are fascinated with the process of taking pictures so it’s nice for them to have a camera that they can do what they want with. 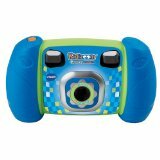 A good kid’s camera to have a look at is the VTech Kidizoom FFP Camera. This camera is a real 1.3 megapixel camera with 4x digital zoom that has a 1.8″ color screen and easy-to-use viewfinder. You can also record video and voice, and it lets kids edit and add effects to photos. This camera is pretty cheap, very durable and kids love them. 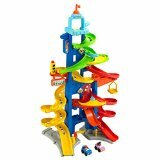 Fisher-Price Little People City Skyway – This play set is over 3 feet tall so your kids will be able to stand up and send cars zooming down the ramp. This set will keep your kids busy for long time. 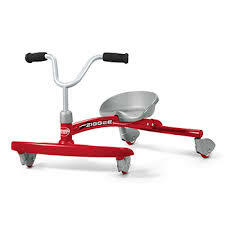 It does take a bit of assembly, but it is worth it because your kids will really enjoying playing with it. This is on a number of ‘Hot Toy Lists for Christmas 2014″. Almost any of the Fisher Price Imaginext sets are a fantastic choice that are great for creative play. This year I really like the Imaginext 2-in-1 Supernova Battle Rover. If you are looking for a big WOW toy this is one to check out. It’s not cheap, but you are getting quite a lot of toy for the price. I wouldn’t get this for a 2 or 3 year old but it would be quite a gift for a 4 year old. 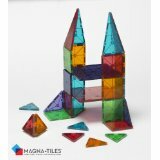 You could also try Magna-Tiles® Clear Colors 32 Piece Set , it is a building set with tiles that your kids can use to make cubes, pyramids and different geometric shapes that is great for preschoolers. They are a bit expensive but children will get years of use out of them. 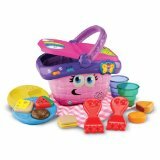 Children this age are beginning to learn their shapes and how to share, so a really good toy that can help with this is the LeapFrog Shapes And Sharing Picnic Basket. This is a very popular toy that helps kids learn shapes, colors, and manners. Another good educational toy is the Learning Resources Teaching Cash Register. This toy is a talking cash register that teaches kids about coin identification, addition, subtraction and place value as they play 4 featured games that increase in difficulty as players advance. 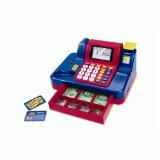 The cash register is also good for imaginative play and learning basic calculator skills. If you are looking for something that is fun and also educational you could try Gears! Gears! 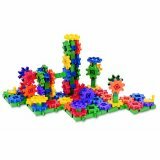 Gears!® Beginner’s Building Set, kids love these and they are a fun way to help kids learn about simple mechanics. 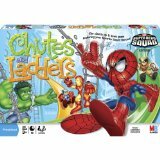 Everyone knows about the board game Candyland for this age range but there are a lot of other great options available. 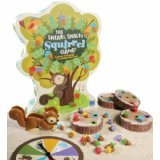 Educational Insights The Sneaky, Snacky Squirrel Game is a fun game that is also helpful for kids to develop their matching, sorting, strategic thinking, hand-eye coordination, fine motor skills and pre-handwriting skills. 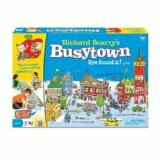 Another great game for this age range is Richard Scarry Busy Town, this game is a good co-operative game for kids who might not be so great at losing. If you already have the basic Busy Town game there is a follow up game called Richard Scarry Airport Game. The Wheels on the Bus by Paul O. Zelinsky is a great book for kids 2 years and younger. Press Here by Herve Tullet is a simple, fun, interactive book that kids love. If You Give a Mouse a Cookie by Laura Joffe Numeroff and Felicia Bond is a very popular and classic book for this age range. The Giving Tree by Shel Silverstein is another classic that is very sad but sweet. Ladybug Girl by David Soman and Jacky Davis is a nicely illustrated book that would be a good gift for kids who are into the Fancy Nancy series. More great gift ideas for birthday and Christmas for kids ages: 5-7, 8-10, 11 and 12.